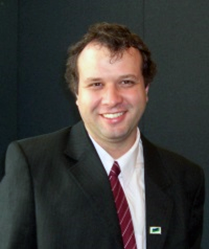 HISA is pleased to announce Brazil’s national electronic health records leader Prof Ricardo Puttini will be a keynote speaker at HIC 2015 in Brisbane 3-5 August. Prof Puttini is Coordinator of the National EHR Project, University of Brasilia/Ministry of Health. He has a PhD in distributed systems and has been senior IT consultant and advisor for more than a decade, co-authoring the book “Cloud Computing: Concepts, Technology and Architecture”. He has worked at research groups in Brazil, France and Sweden and published more than 40 papers. Prof Puttini will speak in the opening plenary session starting at 9am on Wednesday 5 August.